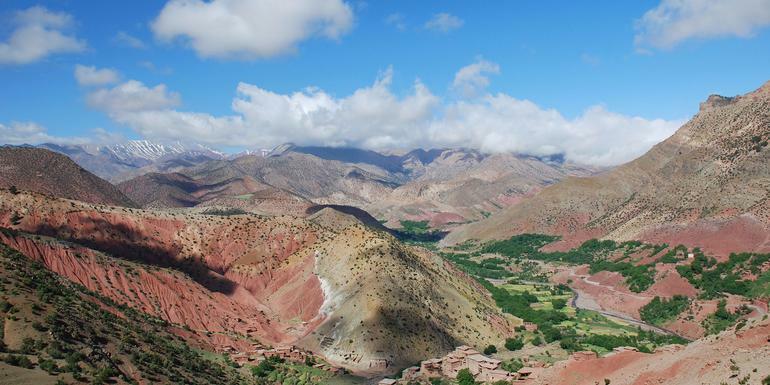 High Atlas trek (4-day). Berber home visits. All transport between destinations and to/from included activities. Hotel (2 nts), gîte (4 nts, multi-share). Like anywhere in the world, major cities have areas safer than others, use common sense, be aware of your surroundings and mind your personal belongings. It is important to note that as it is not a legal requirement in buses in Morocco, the vehicles you use on tour may not be equipped with seat belts. Local Mountain Gîtes: Accommodation in the mountain gîte is part of a family home and very, very simple. If you have this expectation in mind we are sure you will be pleasantly surprised. Sleeping arrangements are multi-share with 3 or 4 beds in each dormitory/room. Bedding is provided but you will need to bring a sleeping bag for additional warmth if travelling in the months Nov-April. You will need to bring your own bath towel. Bathroom facilities are unisex and shared. Each evening on return from our days of hiking, you will enjoy homemade dinners of local produce in the cozy salon. 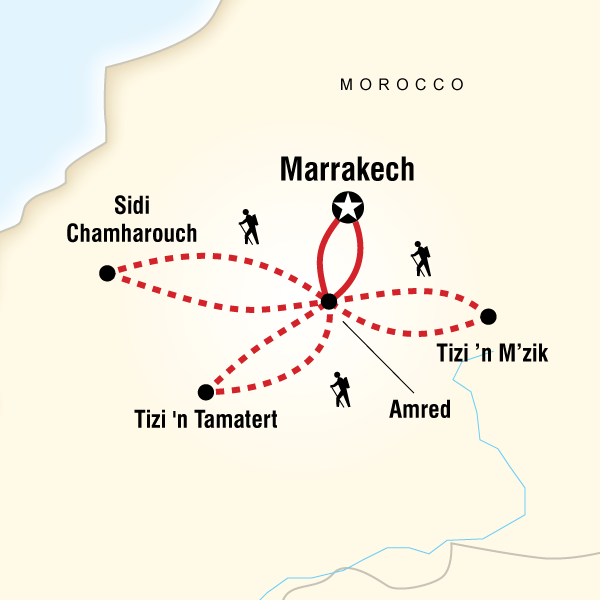 Hotel: In Marrakech we will stay in a local hotel in the new town. This is approximately a 25 minute walk to the central medina. Please note that Morocco is a developing country and as such the infrastructure is not as reliable as you would expect at home. Expect quirky plumbing and the odd cold shower!